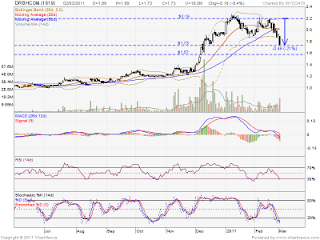 As 2 March 2011, NO reversal candlestick been formed, so high probability it will future retrace down. However, technical rebound might be in place soon. 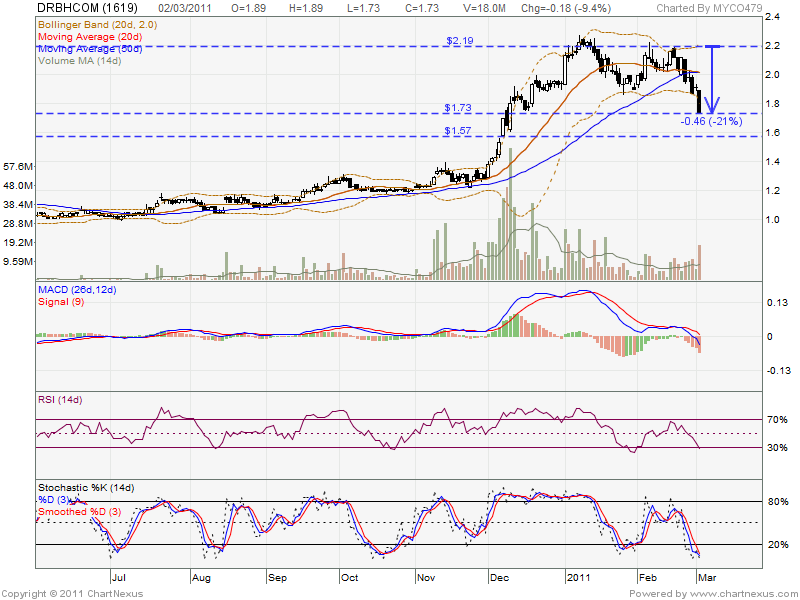 If rebound, it will retest RM1.76 & RM1.86 resistant.